St. Johns County Full Service Door Company Best of Houzz 2014-2016! 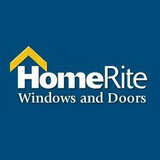 HomeRite is a window and door dealer that specializes in energy efficient, quality windows with warranties and service to match. 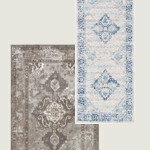 We have partnered with a manufacturer that has been family owned and operated with over 60 years of experience. Over the span of these 60 years, the window and door industry has changed a great deal and our manufacturer has stayed at the forefront of those changes through design, quality, customer support, and energy issues. It is important to us to have products that we feel are of high quality, are energy efficient, and are of added value to our clients. To ensure this, we have aligned ourselves with several organizations that we feel are good measures of this. We are also members of the United States Green Building Council, a non-profit organization comprised of leaders across the industry working to advance environmentally responsible buildings. We offer outstanding garage door services covering any type of residential door around! Our company is one of the best in Florida when it comes to advanced systems, so you can count on us for new Wi Fi openers! We also offer fast, same day emergency services in the local area. Some of the brands we provide service for: Genie, Liftmaster, Sears, Craftsman, Allister, Chamberlain, and more! 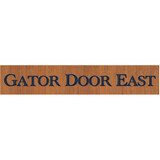 Founded in 1991, Gator Door East Inc. has been supplying the best pre-hung doors, millwork, and door hardware for over twenty years. Our many years of experience in the industry have helped us to develop our unparalleled attention to detail and service. 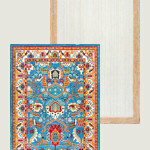 We understand that our products are very job specific, and we desire to meet the individual needs of every client. Our extensive history in the Southeastern U.S. has also helped us to fully realize the importance of cost competitiveness and schedule maintenance for our clients. All of our products are built, in house, at our production facility in St. Augustine, FL. With an experienced staff, and 30,000 square feet of warehouse space, we can build ahead of schedule for our jobs, which helps us to meet the needs of our client’s timetable. The history of Lumber Unlimited began in 1965, when four existing distributors jointly formed the company. In 1981, a consortium of local builders acquired the company. Now under the ownership and management of Dave Myers. David Myers and his long time team of employees (in many cases, 30 plus years) are dedicated to their core values, making their commitment to total quality and client satisfaction absolute. 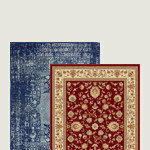 With their 49 year history, their industry knowledge is second to none. Lumber Unlimited has become the market leader in Northeast Florida. Because of their outstanding and long relationship with vendors, they can afford their clients with favorable pricing on materials and exceptional workmanship. They embrace creative collaboration with anyone involved, builders, architects, designers and home owners. Since 1987, Associated Doors, Inc. has had the distinguished pleasure of assisting countless customers with their door repair and installations. For over 20 years, we have dedicated our services and products to our customers ensuring their total satisfaction, one customer at a time. Over the years, it has been our pleasure to assist our customers in choosing and installing a beautiful door in their homes and/or businesses that not only adds security and curb appeal, it increases the property value as well. 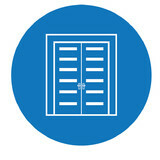 Associated Doors, Inc. is known for its quality service and its commitment to excellence. We are a customer-oriented company that has built a reputation based on honesty, trustworthiness and the satisfaction of our customers, 100% of the time. Associated Doors is a licensed and insured company for your protection. Good glass can protect, preserve and beautify your home. Glass Doctor® of Jacksonville helps local families use glass to their advantage. We offer repair, replacement and installation services to Jacksonville and Northeast Florida. Our experts help homeowners upgrade their windows and possibly lower their energy costs. We install custom bath & shower enclosures that are both beautiful and functional. Mirrors, table tops, you name it! Exterior Services Group, Inc. has a proven record of excellence in repairing, installing, and maintaining windows and is an Andersen Window Service provider in Northeast Florida and Southeast Georgia- from coastal to inland we have you covered. We provide troubleshooting and consult with homeowners, builders and manufacturers to find leaks and solve problems. Using the latest technology coupled with our extensive experience and dedication to customer-oriented service, the team of professionals at Exterior Services Group, Inc. will take care of all your needs. Each of our locksmith technicians are on hand with 24/7 service regarding any emergency in this region. You, our customer, can trust in our fast and the best locksmith work anywhere you need us, anytime. We have the skills to meet your needs and budget-conscience pricing. We service all types of locks, keys and security, vehicle, residence and office requirements! We're the ones to get your locksmith work done all over Florida! Locksmith Jacksonville are available 24 hours a day for emergency replacements, break in's and lockouts, installations of all kinds, replacements, hardware, We're there for you! Searching for a professional car locksmith in Jacksonville, Florida? With our state-of-the-art equipment combined with our friendly and perfect technicians, we assure you quick and authoritative service for you automobile lock needs. At our association you get everything that is required for fixing the locksmith emergency issues. We'll be there you at any time you need and extend many types of needed solutions, such as Transponder Key. With in few minutes after you call us, we will arrive to you and Come in to any of our position so you don't have to wait for lock repair, key repair or replacement. Keeping you home secure is our main goal, fro deadbolts to securing the locks in your whole house, Florida Locksmith Co is here to help, any hour of the day, any type of lock. Automobile Locksmith Services - Professional Locksmith services for all makes and models of vehicles including auto lock repair, lost car keys, ignition key replacement, transponder keys and emergency locksouts. Residential Locksmith Services - Fast and affordable locksmith services for your home and rental properties including new lock installation, deadbolts, door knobs, lost house keys and emergency lockouts. We at Our Lock smiths can do it all. There is no job to minimal or too enormous for us. If you need it done we are your goal. Our certified technicians work 24 hours a day, every day of the year. All locksmith services in Jacksonville are available on-the-spot for your appropriateness! At Our Company we handle all residence, office, auto Lock set and Door Lock security problems. Our Locksmithing only hires the best in quality population to work for us. We want everyone to have the same integrity and loyalty to our clients as we do. So if you need the best then call our Locksmiths and let us prove to you what all of our other customers already know. 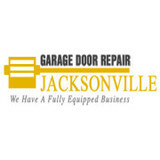 What kind of services do Jacksonville door dealers provide? Door dealers are responsible for a variety of services, including door installation, replacement, door repair and custom door design. If you need a new door, Jacksonville, FL door dealers will help you determine what kind you need, as well as shape, color, size and more. From barn doors to French doors to front doors, these professionals can help you choose, install and maintain your door investments. Wood doors are beautiful, versatile and tend to be the most popular choice for both interior and exterior doors; they are easy to custom build, and include oak, cherry, walnut, mahogany, maple, fir and pine. Some standard wood doors have MDF cores wrapped in wood veneers, which minimizes the chances of warping as real wood expands when wet and contracts when dry. If your heart is set on a wood door but you think the Jacksonville, FL climate might cause it to warp, talk to your door professional about a furniture-grade veneered door. Aluminum doors have an insulated core and come in a variety of colors and finishes. With a baked-on enamel finish, they won’t rust or need repainting, and many come with a 20-year warranty. Next to wood they are the most expensive and have to be custom-made. A Jacksonville, FL door dealer can help you find a reputable aluminum door manufacturer. 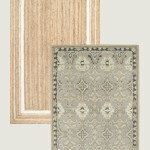 Find door dealers and installers in Jacksonville, FL on Houzz. Look in the Professionals section of our website and search for Jacksonville, FL door dealers and installers. Read reviews, look at project photos and see how a pro can help with your home improvement project.